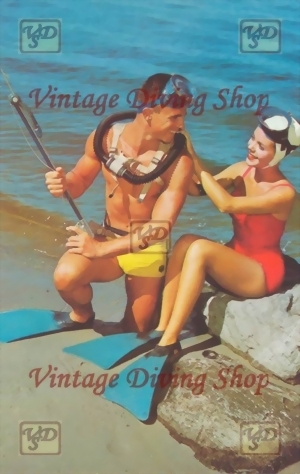 Sie sind hier: Home » Postkarten - Postcards » Man & Women in the v..
original Titel: "Man & Women in the vintage diving gear, ca. 1960´"
original titles: "Man & Women in the vintage diving gear, ca. 1960´"